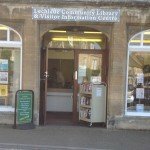 Lechlade Library | Our Community Library offering Free Internet Access, Visitor Information, Photocopying, DVDs and books for all ages…. The Job Club has moved to Tuesday afternoon from 2 to 4 pm. Free access to Job Search websites and coaching in all aspects of applying for work including interview skills practice. Why not come along and meet other people who are looking for work and share their experiences and ideas about finding the right job for you? These have now moved to LIBRARY EVENTS 2019 page. Not a member of the library yet…what are you waiting for? Free membership of the library is available to everyone and all our books, including the very newest ones, are free to borrow. Not a member yet? Adults and accompanied children can pop in, join the library and borrow items immediately. Ideally adults should join on line via Gloucestershire Libraries website. You will need ID and a recent bill. Children of Adults who are already library members can join at the library if the Adult acts as guarantor regarding any fines outstanding. DVDs and Audio Books: Why not try one of our many New DVD titles at just £1.50 per night or £3 for a full week? Older DVDs are available at £1.00p per night. Or pop in and borrow one of our many Audio Books at just £1.30 for a 3-week loan, giving you plenty of time to listen to the story. You can also download ebooks and e audiobooks from www.gloucestershire.gov.uk/libraries. Wi-Fi is available in the library so you can use your own tablet, phone and other devices and get faster access to the internet which is free. Free access to the internet is still available via the six People’s Computers. If you are already a member, just log in using your Membership No and your Pin. If not a member you can still use the computers but you will have to give your details to the front desk and proof of ID. You will be asked to sign the form in order to comply with Data Protection. Computer Skills: We can offer help, either if you have never used a computer before or if you would like to improve your skills. We can also offer personal tutorials to help you make better use of your laptop or iPad. Please book a time and date with the font desk staff. Audio books on CD – all libraries stock audio books which can be hired on free loan. We currently have a display of photographs and maps depicting Lechlade in the war years in the main section of the library. The display has been provided by members of the Lechlade History Society and will be on show throughout October. A fascinating insight into the effects of the war on this small rural community. Lechlade Library are delighted to have joined forces with the Town Council to improve the look of the Market Place one of the many projects for the Town identified in the Neighbourhood Plan. Two of the old tubs in the Market Place have been replaced by new oak tubs outside the library which will be looked after by the library volunteers. “We are delighted to be helping the Town Council in this way and have already received lots of lovely comments from visitors and local residents on how pretty the tubs look” Sue Coakley, Chair of Lechlade Library. (see photo). Visitors to the library, as well as our many new and existing customers, have generated a footfall over 20% higher this summer than it was last year. The new signage above the door and the extended Visitor information including a new leaflet promoting the town, walks guides and a wealth of local knowledge have all made the Visitor Information Centre a great success. Visits were arranged for volunteers to both Filkins Woollen Weavers and Kelmscott Manor to improve our knowledge of local attractions. Future visits to Buscot House and the Cotswold Wildlife Park are planned. We are improving the facilities for our volunteers by installing tea and coffee making facilities on the ground floor of the library. The replacement of the old floor standing boiler by the County with a modern wall mounted boiler has freed up space to install a small kitchen counter and sink in the back lobby. This will mean that volunteers can have a quick cuppa without having to carry hot drinks down the steep library stairs. The Library windows etc are due for re-decoration and in some cases repair. Gloucestershire County Council hopefully will undertake this work in the near future. Help with dementia – for people with dementia, their carers and family. The Reading Agency and the Society of Chief Librarians, with funding from Arts Council England have provided every library with 25 books which aim to provide support and advice for people with dementia as well as their carers and family. These books are available to borrow free – just like any other library book. Volunteer opportunities: Do you have 3 hours to spare per fortnight? We have opportunities for volunteers to help run the Community Library. No experience necessary as training and support are provided. New books: New books are added to stock each week. You can also reserve books from the County’s online catalogue of books www.Gloucestershire.gov.uk/libraries and have them delivered free to Lechlade library. Free computer instruction: Whether you are new to computers or wanting to improve your skills we can help – you can use the computers in the library or bring your own e.g. Smartphone or iPad. Contact us to book an appointment. Who is the new junior member of the Lechlade Library. Suddenly in the corner of the Lechlade Library a new junior member has appeared. Obviously looking for the bear necessities of life. You never know, he may claw his way through the books as part of the junior reading challenge. Do you think you could beat him reading more books? We offer a Lechlade tourism leaflet, self-guided walks, information on local history and brochures for the many local attractions. Looking for somewhere to take the kids this summer – why not come in and see what’s on offer? Friends down for the weekend – why not pop in and get some new ideas on places to visit?